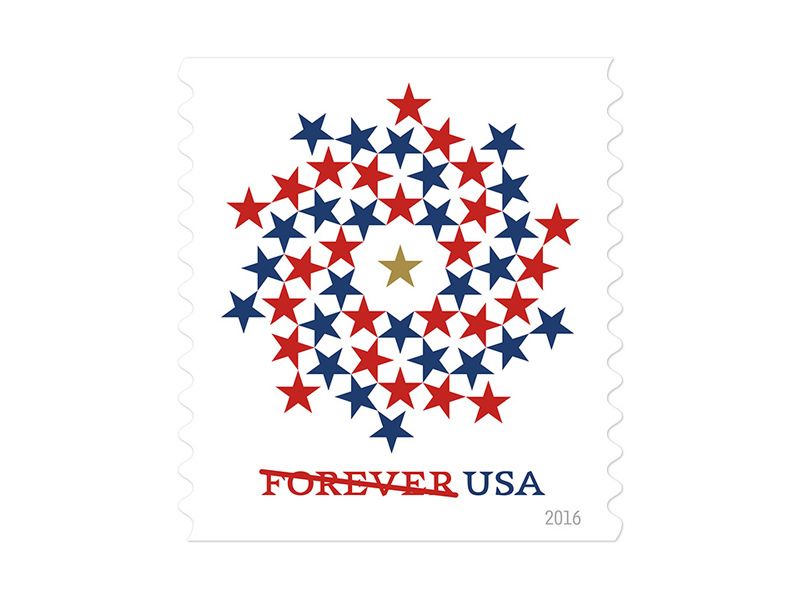 Patriotic Spiral, a Forever® stamp, will be sold in self-adhesive coils of 10,000. Patriotic Spiral will also be sold in booklets of 10. These Forever stamps will always be equal in value to the current First-Class Mail® one-ounce price. 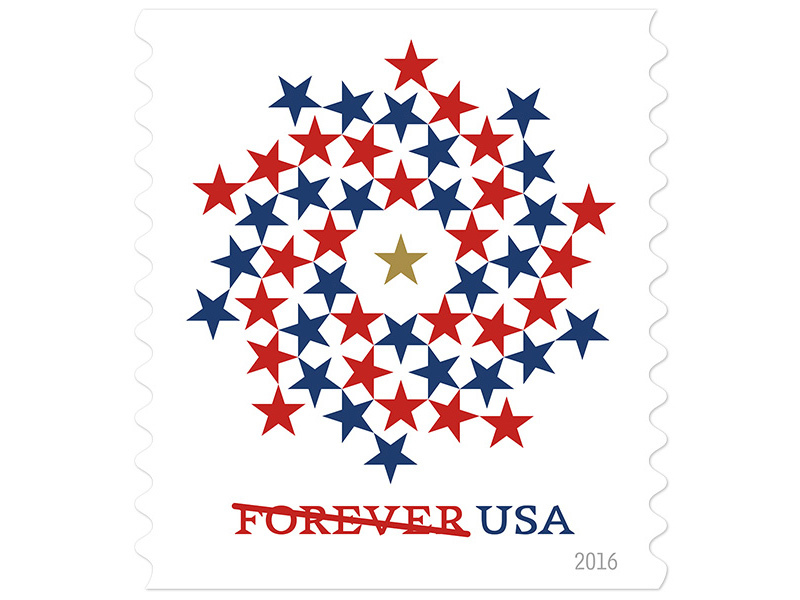 Offering a new spin on patriotic stamps, the festive and energetic design suggests connection and movement, with 50 red and blue stars spiraling around one gold star in the center. The idea behind the design was to illustrate a community protectively orbiting the central star that in an abstract sense stands for our nation’s steadfast idealism and hope for a more perfect union. At once both modern and timeless, this stamp is a lively take on past issuances featuring stars. Antonio Alcalá art directed the project, with art and typography by Polygraph, a Washington, D.C., design firm.